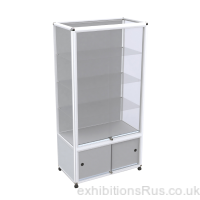 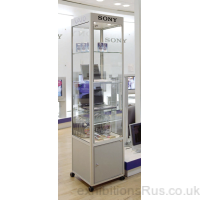 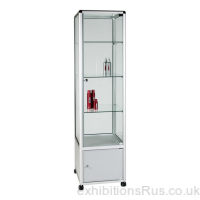 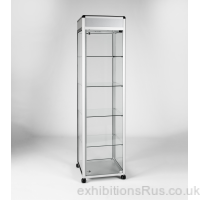 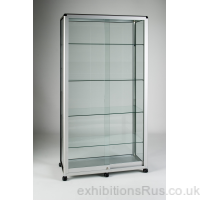 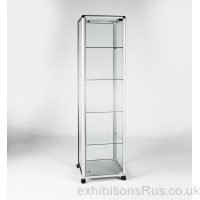 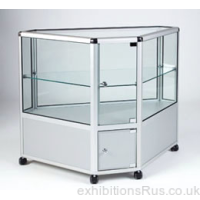 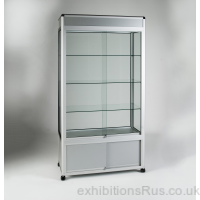 Glass display cabinets, glass display cases and counters for retail outlets, exhibitions, museums, trade shows, showrooms, reception areas and exhibition uses. 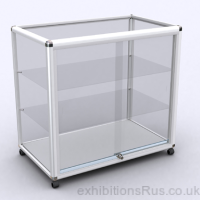 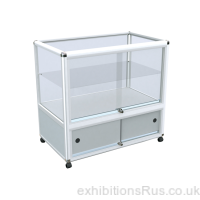 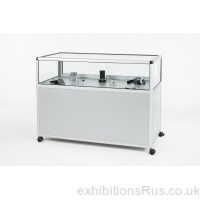 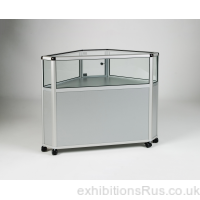 A range of toughened safety glass and satin aluminium framed storage display units built to a very high end spec, very high quality display cases indeed. 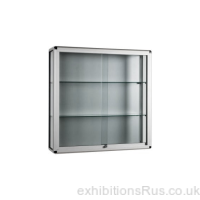 Various choices across our range of glass cabinets for lighting, storage compartments and stud or locking castor feet options. 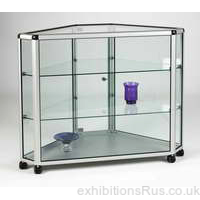 UK made to the highest standard.